2014 is a watershed year and it will be remembered eons later as a year when mankind irreversibly destabilized the great ice sheet of West Antarctica, and thus set in motion more than 10 feet of sea level rise. 2015 will be a year which will have a big impact on the denizens of the Northern Hemisphere. Mankind has learnt that one gigantic glacier of East Antarctica, which could set in motion roughly the same amount all over again. It becomes increasingly clear that when the bottom of the globe loses huge amount of ice, the northern hemispheres residents and Americans in particular, will have higher sea levels than the rest of the globe, thanks to gravity. 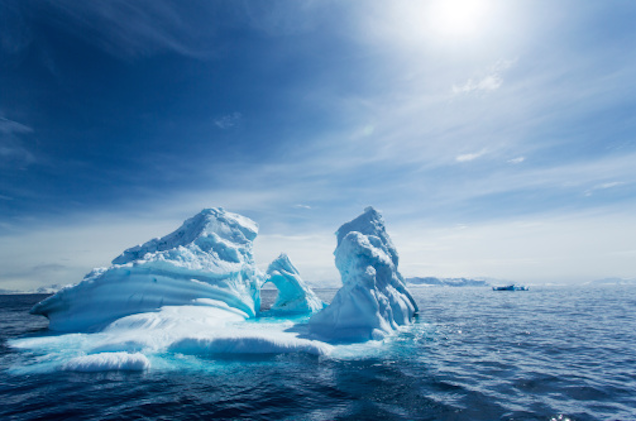 This frightening prospect is revealed in the latest findings about East Antarctica. A new paper just out in Nature Geoscience by an international team of scientists representing the United States, Britain, France and Australia underlines the apocalyptic future of mankind. . The study involved a number of flights over the fastest-thinning sector of the world’s largest ice sheet-The Totten Glacier of East Antarctica. The research team took a lot of measurement to unearth the reasons behind the retreat of the glaciers. It seems that the Totten Glacier is loosing its ice because warm ocean water is getting underneath it. It is not very heartening news. The Totten Glacier straddles a vast expanse of an area of 40 miles by 18 miles. This is equivalent to 100 times the Volume of Sydney Harbor each year as per information provided by the Australian Antarctic Division. It is an alarming situation and if it melts back into the ocean, it could raise the sea levels by 3.5 meters, or more than 11 feet. It will be almost equal in magnitude to the loss of the West Antarctica ice sheet.